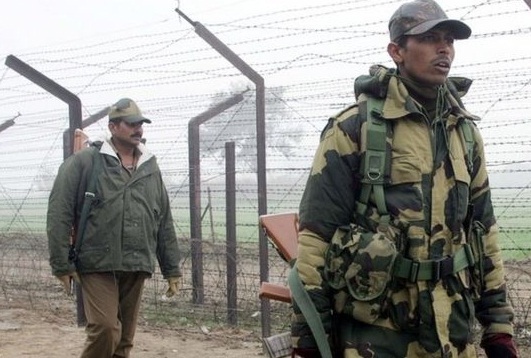 Kashmir : Pakistani forces opened fire and killed two Indian soldiers who were patrolling along the de facto border, the fence that divides Pakistan and India at the Kashmir territory. Indian Army confirmed reports and informed that the incident took place in the Gurez area of Bandipora district. Repeated attempts of ceasefire violations from the neighboring territory of Pakistan has added to the series of such violations in the past,which have been initiated breaking the codes of no-fire agreement between the two countries. India and Pakistan have often accused each other of unprovoked firing along the disputed border. A ceasefire agreed in 2003 remains in place, but the Indian army confirmed of yet another such violation from the other side of fence resulting in fatality of lives of two Indian soldiers who were on guard. This late evening firing of Monday’s incident happened days before Indian Prime Minister Narendra Modi’s scheduled visit to Indian-administered Kashmir. Indian army officers informed that Pakistani troops fired machine guns and grenades, thus adding to the escalation in hostilities between the neighbours since last year, with some of the worst violence in a decade being recorded during this period. Kashmir, claimed by both Pakistan and India as a territorial dispute has been a flash point for more than 60 years and incidents such as terrorist attacks and ceasefire violations from the Pakistan side has added to the spoiling of such neighborly relations time and again.